Yesterday we brought you word that Sony has filed suit against both actor Jerry Lambert and the Bridgestone tire company claiming that the two entities had diluted its trademark. Lambert is most famous for appearing in over 30 PlayStation commercials as fictional Sony executive Kevin Butler (and he’s even slated to appear in the upcoming LittleBigPlanet Karting), and when he popped up in an ad spot for Bridgestone playing a Nintendo Wii, you can imagine that Sony wasn’t too happy with the situation. 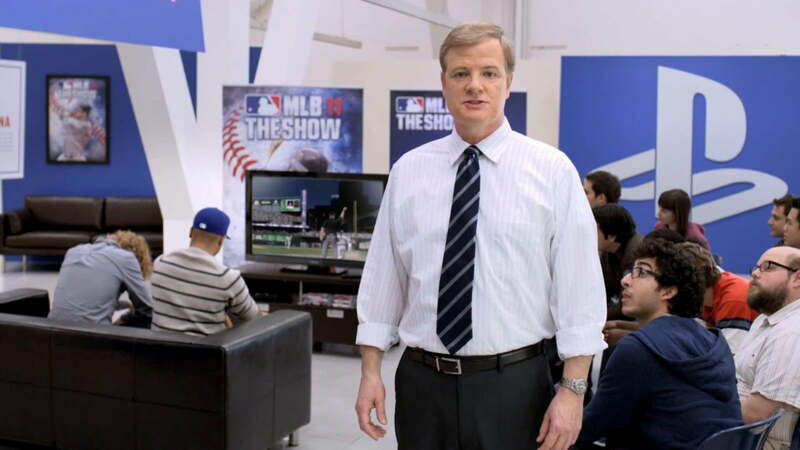 However, Bridgestone has now fired back, claiming that their commercial, though it featured Jerry Lambert, did not feature the “Kevin Butler” character. Obviously this is a mess fit for a judge to clean up, but we can legitimately see both sides of the argument on this one. On the one hand, Lambert has been doing Sony ads for so many years that there is likely a large swath of the game-buying public who doesn’t even realize that he’s a paid actor. For all they know, his name is Kevin Butler and he’s just a wacky American executive who enjoys being in his company’s commercials. In the minds of these people, Butler/Lambert is inherently associated with the PlayStation brand, and his appearing in a Bridgestone commercial in which he plays a Nintendo Wii could hypothetically confuse some viewers. On the other, Jerry Lambert is an actor. That’s his job. He earns a living by portraying different people, and “Kevin Butler” is no more his true persona than Batman was Adam West’s. It only stands to reason that Lambert would be open to working in ad spots for companies other than Sony if the price is right, and why should his career be needlessly handicapped just because one of his characters became relatively famous? On a third hand however, we have to assume that Lambert knew that playing a Wii in a nationally-broadcast Bridgestone commercial would upset his bosses at Sony. Failing that, we’re sure Bridgestone’s no doubt well-paid legal team could have pointed out the conflict of interest here (assuming anyone bothered to ask them). We’re keenly interested to see how the court system rules in this case, as it could very likely set a precedent for future video game advertisements. We’ll have more information for you as it develops.